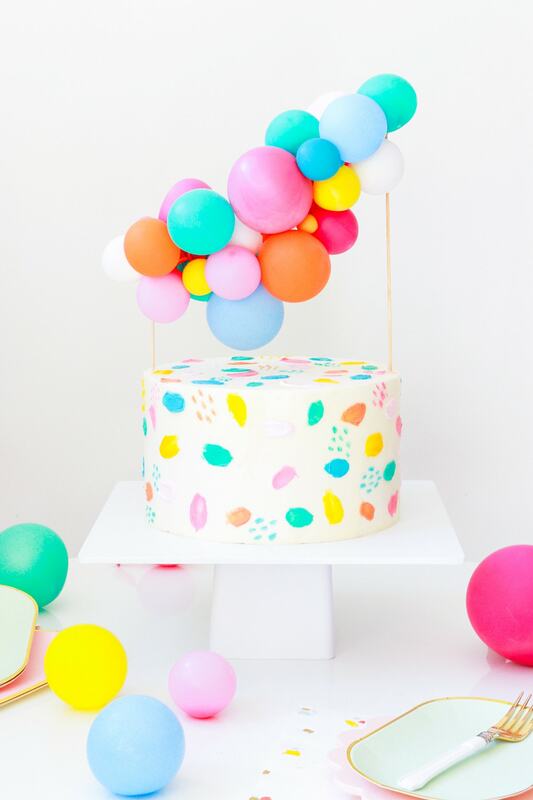 Let’s be honest, baking a beautiful cake from scratch is a lot of work and the thought of creating this cute DIY balloon garland cake topper feels like even more work! 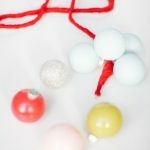 I can completely understand that, but this tutorial will give you all the good DIY feels because I’ve got lots of helpful tips! 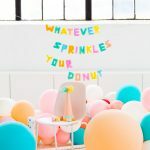 Perhaps you are opting to go with a store-bought cake to save the stress…or perhaps you’ve baked and frosted your own cake, but don’t have much additional time for the decorating? 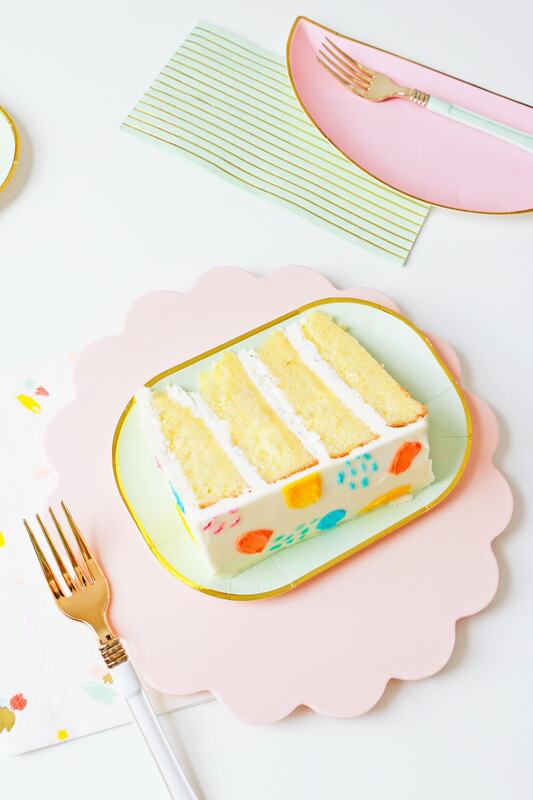 Whatever the situation may be – I, Alana, am here to help you give that plain cake a quick and easy transformation into a bright and beautiful work of art. 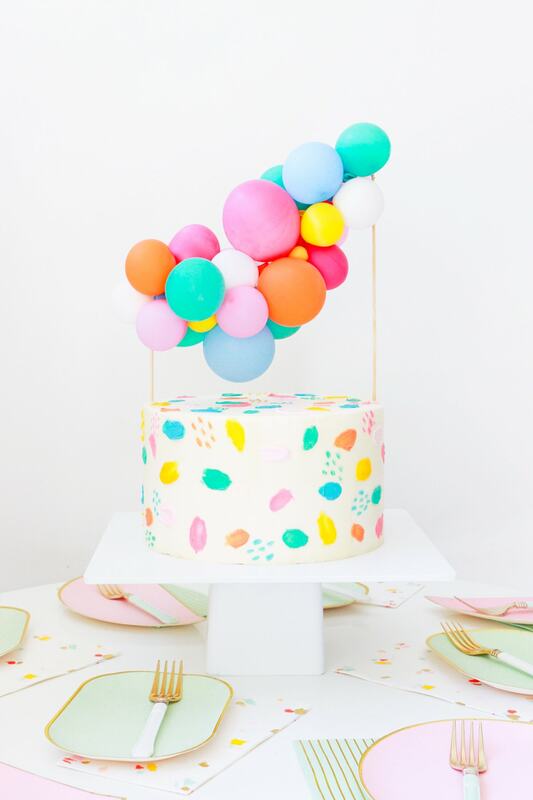 With a colorful balloon topper inspired by those incredible Geronimo balloon installations you see all over your Instagram feed, Sugar & Cloth’s classic white cake stand and partywares, and two super simple painted buttercream tricks, you’ll have a finished cake that is sure to be the center of attention at any party. Note: Before you start, you’ll want to make sure your cake is chilled and that the frosting is firm to the touch before you begin working on it. To achieve the most ideal cake canvas, keep the cake in the refrigerator until the moment you are ready to start working on it. If you’re tight on time and your cake is still not completely chilled, you can place it in the freezer for 10-15 minutes to speed up the chilling process. 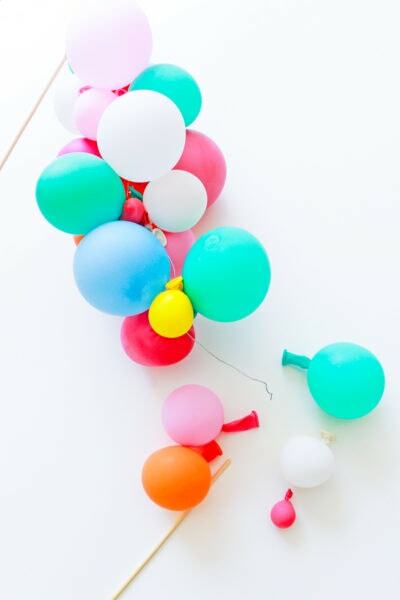 To create the balloon topper, blow up an assortment of colorful 5-inch balloons in a variety of sizes. 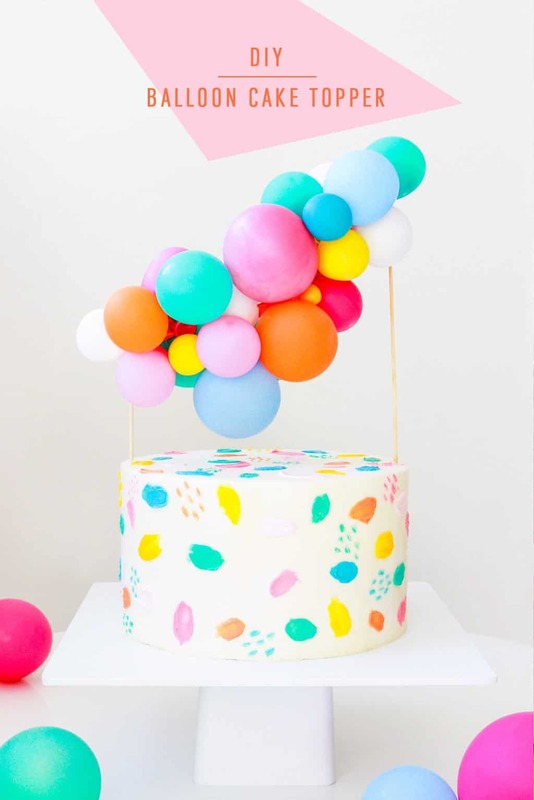 For an 8-inch round cake, you’ll need roughly 25 balloons. 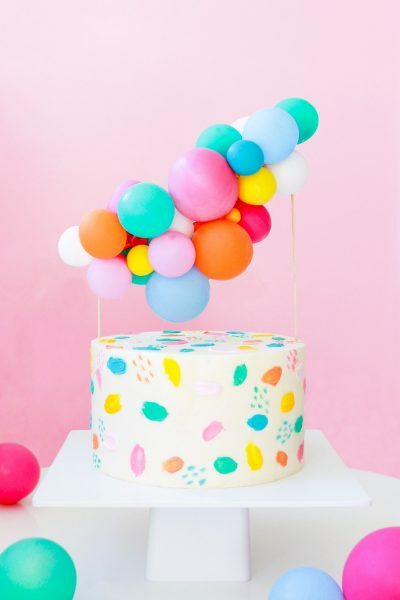 When blowing up the balloons, make sure not to fill them more than halfway full to keep the balloon size proportionate to the cake. Knot the end of each balloon to close, just as you normally would. Using a pair of heavy-duty scissors, cut a 2-foot section of floral wire. Additionally, you’ll need to trim one of your skewers so that you have 1 x 8-inch and 1 x 12-inch skewer. Wrap one end of your wire around the top of the 8-inch skewer a few times, until it is secure. 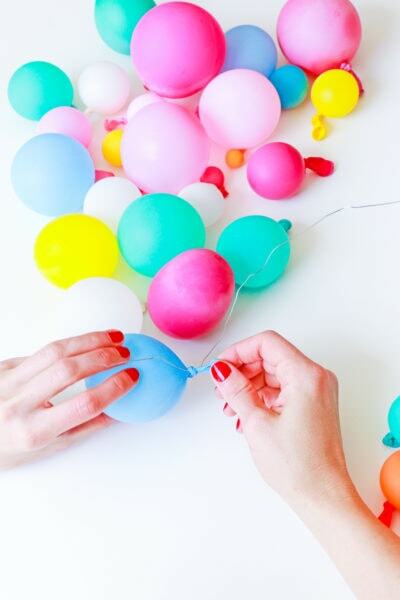 Begin to knot the balloons onto the wire, adding one balloon at a time. 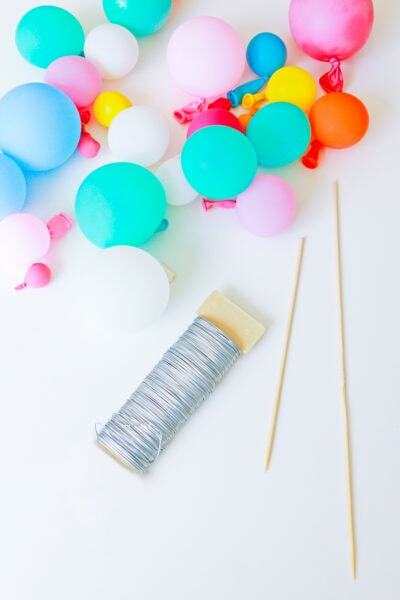 Make sure to scatter the larger balloons, so that they’re not all in one section. Play around with the positioning of the balloons, so that they don’t all face the same direction. 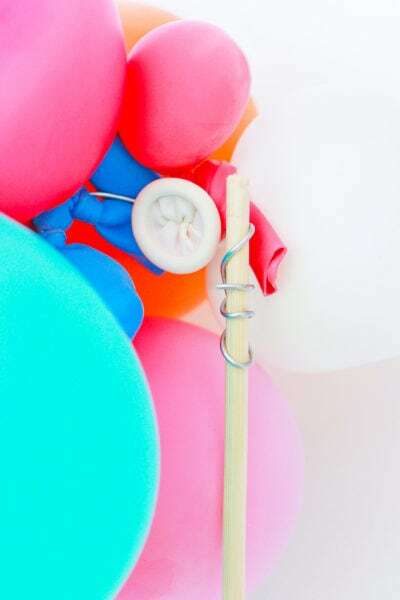 Once you’ve added all of your balloons to the wire, wrap the open end of the wire around your 12-inch skewer until it’s secure. Trim any excess wire. Since you’re using a thick gauged wire, you’ll be able to add some additional shape to the garland by bending or twisting the wire. Play around with it until you’re happy with the shape. 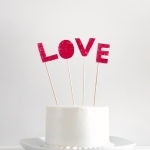 Now that the balloon topper is complete, you’re ready to paint your cake. For each desired color of buttercream that you want to add to your cake, add 1 drop of food coloring to a large spoonful of white buttercream frosting. Mix well until the color is combined. 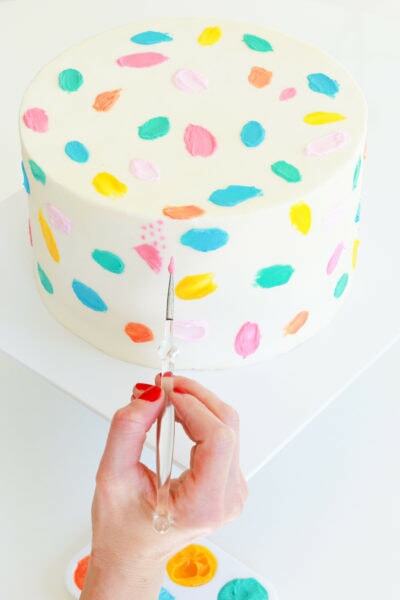 To achieve the brushed buttercream look, add small dollops of colored frosting onto your chilled cake and gently smear each dollop using a small spatula. 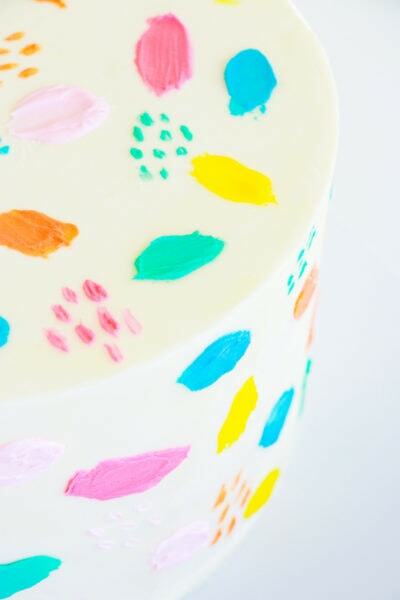 For the painted dots, use a decorating brush (or an unused, food-safe paint brush) to add on small dots of frosting. You can also use a brush to create a mini version of the brushed buttercream. 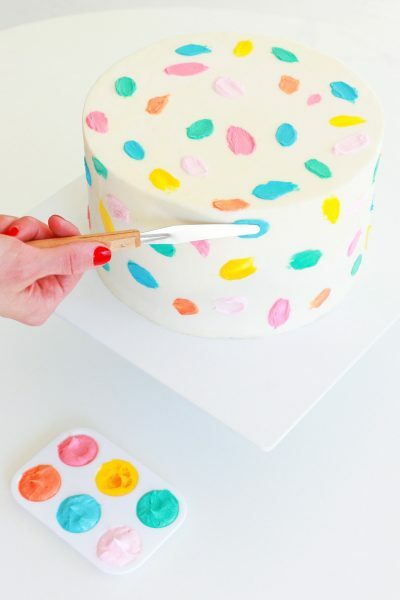 If at any point while your painting your cake you notice that your buttercream is softening and preventing you from being able to easily add your colored frosting, put the cake in the freezer for a few minutes to re-chill it. 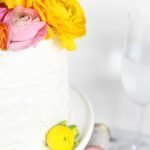 Now that you know these two simple buttercream tricks and can make an incredible cake topper, why stop with just one cake?! 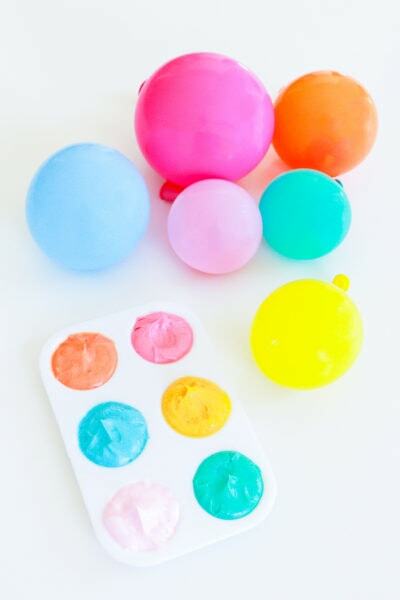 With the endless colors of balloons and food coloring options, the colorful, customizable possibilities are endless. I can’t wait to see how you customize yours! This is so super cute!! 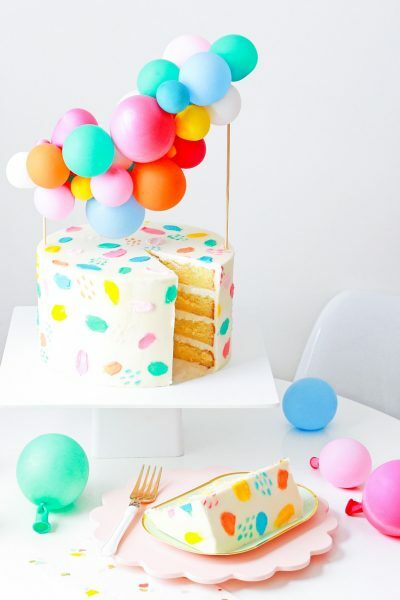 I love the idea of a mini balloon cake garland. Right? 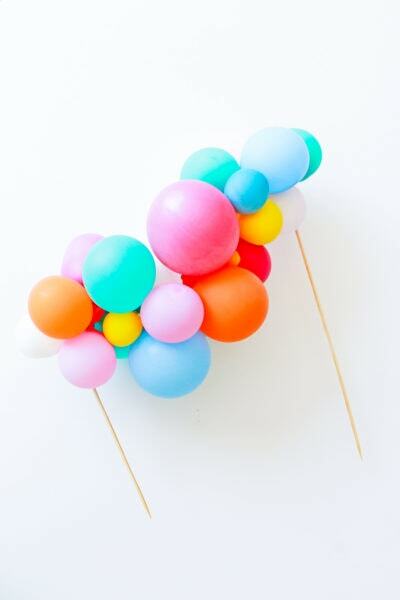 As if the balloon garland couldn’t get any cooler! That’s one amazing garland! And I love the paw prints on the cake. Well Done, Ashley! Isn’t it great?! All the credit goes to the amazing Alana!! Where did you find the balloons that you used? 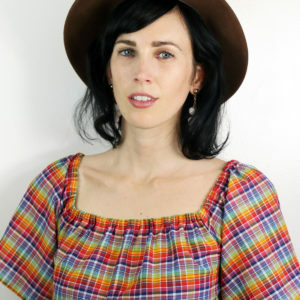 I am looking for bright colors such as yours but can only find pastels or pearl style balloons. 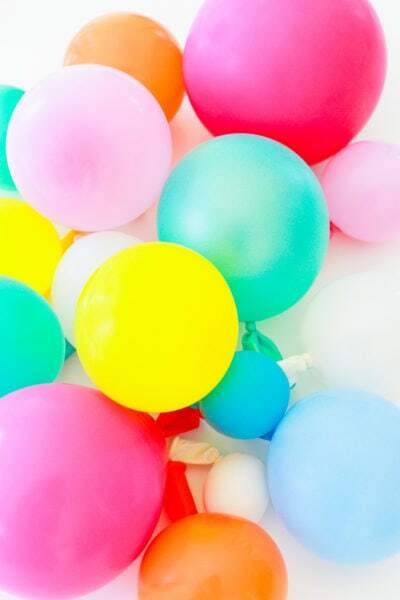 Did you ever find balloons in these colors? Thanks! Hi Jennifer! 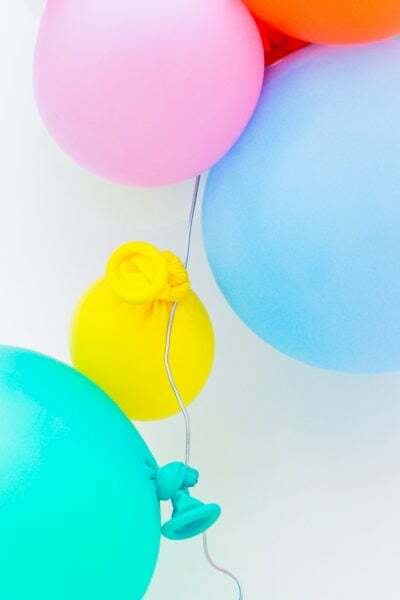 Yep, there’s a link in the post to the balloons if you want these exact colors! Amazing! I missed that – thanks! Is it the “mixed colors” bag of balloons? Love the colors in this post! Yes, the colors aren’t as saturated once they are blown up!